The tail fins on cars were just starting to take off the first time he ran. The nation had about half as many people as it does now. Neither of his opponents this year had yet been born. For that matter, neither had Governor Snyder or President Obama. John F. Kennedy was a freshman senator, General Motors was the world’s most powerful corporation, and nobody had ever seen a Japanese car. We are talking 1955, when, a few days after Christmas, a few thousand voters showed up for a special election, and sent a geeky-looking 29-year-old lawyer to Congress. His name was John Dingell. He was elected to replace another John Dingell --- his father -- who had died in office just weeks before. Dingell’s been there ever since. When he was first elected, he didn‘t vow to protect the auto industry. Nobody ever imagined they‘d need protecting. But protect them he did. Sometimes he has had to try to protect them from themselves. Back then, they called Dingell “the truck.“ That’s because he was one of the most powerful committee chairman of all time. The Energy and Commerce Committee was the powerhouse during the 16 years Dingell chaired it. It had more budget, staff and more power than any other congressional committee. But three years ago, he fell from power. His fellow Democrats narrowly voted to take away his chairmanship. Other men might then have retired. Not Dingell. Not then, and not now. This week, he announced he would run for a thirtieth term. Nobody in history has served in the House of Representatives as long as Gentleman John. The late Robert Byrd of West Virginia served slightly longer in both houses of Congress combined. But if reelected in November, Dingell will pass his record too. When I first knew John Dingell, he was a scary giant of a man whose office walls were covered with the heads of the big game he had shot on safaris. His days of plunging through the bush are behind him now. He needs a cane to walk and a hearing aid to hear. But nobody has ever suggested his mind isn’t sharp. After a lifetime of representing Michigan’s 15th District, he can’t do that anymore. But that’s only because our poor state doesn’t have 15 congressmen any more. So John Dingell will run in the 12th District, which is pretty much his old territory, with Monroe County carved out and some blue-collar Detroit suburbs thrown in. He has two opponents. A University of Michigan student named Daniel Marcin will challenge him in the Democratic primary, if he can get enough signatures to get on the ballot. 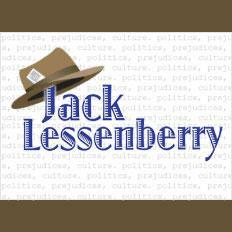 A lady named Karen Jacobsen will be his Republican opponent. Neither have much of a chance. There are those who say Big John ought to step aside gracefully. There are others who think it is a good idea to have someone in Congress with that much experience and institutional memory. What I know for sure is this. Many years ago, Dingell told me he planned to follow in the footsteps of John Quincy Adams, who served till he keeled over and died on the House floor. And when John Dingell says he’ll do something, you’d be crazy to bet against him. An earlier version of this post incorrectly referred to Rep. Dingell's potential primary opponent as Dan Mancin instead of Dan Marcin. The post has been corrected. The Dean is not ready to retire. 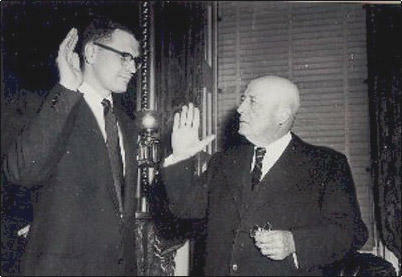 John Dingell is the longest-serving member of the U.S. House in history. And he wants to serve even longer. Dingell announced he'll run for a 30th term in Congress, representing the new 12th District of Michigan, which includes parts of Wayne and Washtenaw counties. The 86-year old Dingell walks and stands with difficulty, using a cane, and he also relies on a hearing aid. But he says his health is great, he still works 14 to 16 hour days, and he has too much left to accomplish to think about retiring. "I tell you, I have never figured out how to not worry about the concerns that my people have," Dingell told a small crowd in Ann Arbor. The press conference was held directly in front of a construction site for the new Stadium bridge, for which Dingell helped secure $17 million in state and federal funds. He is facing a Democratic challenger in the August primary. 26-year-old Daniel Marcin is a Ph.D. student at the University of Michigan. Marcin served as Treasurer for a year for the Graduate Employees Organization, a student union at the University of Michigan. But he has not held an elected public office. John Dingell has declared his victory in a closer-than-expected race against Republican Robert Steele. Dingell has served 56 years, and he will go on to a 28th term. Incumbent Democratic Congressman John Dingell says he intends to keep his seat as Representative of Michigan's 15th District in the November election. Republican Dr. Robert Steele is challenging Democratic incumbent John Dingell in this year's election. 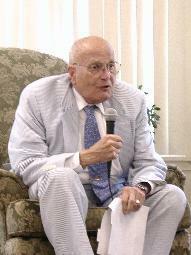 Congressman Dingell represents Michigan's 15th district and is the longest serving member of the U.S. House of Representatives.